Thames Valley Police has released CCTV images of a man who may have vital information in connection with two burglaries in Bicester. 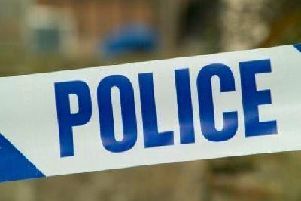 The incidents took place between midnight and 8am on Thursday, May 24 at properties in Buckingham Crescent and Fair Close in Bicester. The offender gained entry to the first property on Buckingham Crescent via the front door and stole a laptop and phone. The offender gained entry to a second property on Fair Close via the rear door where a laptop and phone were also stolen. Both victims, a 36-year-old woman and a 38 year-old man, were asleep at the time of the incidents. Investigating officer, PC Lee Dickinson based at Bicester Police Station said: “I am keen to speak to the man in this CCTV image, as he may have information which is vital to our investigation. “Anyone who recognises the man in this picture, or has information about this incident, should contact Thames Valley Police on the non-emergency telephone number 101, quoting reference 43180156444 or 43180156373.